Garage Doors Claremont can stop working for many reasons, due to age, weather, or some type of malfunction. Sometimes the springs break, or the sensors stop working, or due to roller or electrical issues. Regardless of the problem, Garage Door Repair Claremont is here to help you. You need the peace of mind that you can enter and exit your garage at your home or business without unnecessary drama. Our trained specialists will take care of your garage door issues in record time and we back up our work with our 100% Money Back Guarantee. Call us now for more details! Outside of the garage door itself, the springs are one of the most important part of the garage door system. They are the muscles behind the door’s opening or closing. There are two types of springs. The Torsion Spring is made for heavier doors, and is much thicker. 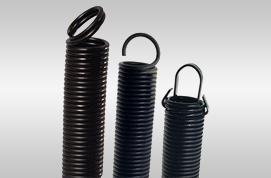 The Extension Spring is a thinner spring that is designed for lighter doors. Neither spring should be replaced by anyone except a trained technician. Failure to install it correctly can result in property damage as well as bodily injury. We’re here to help you with your spring issues! Give us a call! 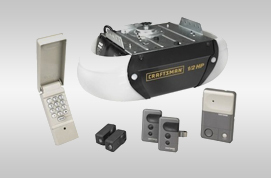 Garage Door Repair Claremont also offers garage door opener installation and repair. We’ve partnered with all of the major opener companies and are well trained to take care of all of your garage door opener repair needs. The repairs may be as simple as replacing a battery or as complex as replacing the entire system. Regardless of the opener issue, we’re here to provide expert, professional service. Garage door systems go down at all the wrong times, and we offer 24/7 emergency services. We’re ready for your call! Call us anytime! 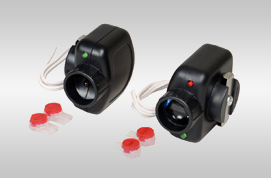 Garage door sensors are the eyes of your garage door system. They’re responsible for making sure that your garage door doesn’t accidentally come down on anyone or anything. The weight of a heavy door coming down on your car or someone could have a devastating result. There may be a quick fix, such as making sure there’s no dirt or any other type of obstruction. Don’t play guessing games when it comes to the health and the safety of those who pass under your garage door. If you sense your sensors are failing, call us and set up an appointment! 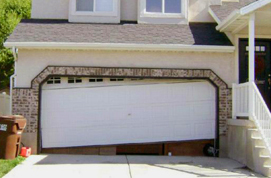 Sometimes your garage door goes off its tracks, such as the door on the right. This is mainly due to the rollers wearing down over time. You can trust that our team at Local Garage Door Repair Claremont will get to the bottom of your off track problem and fix it as quickly as possible. Sometimes the culprit behind your door not opening or closing correctly lies in the cables. They might seem stuck in one side and refuse to open or close when you attempt to open or close them. 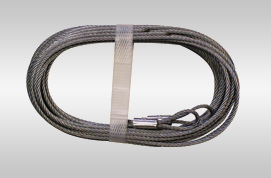 If the cable is broken or comes out of its spool, it prevents the garage from moving freely. 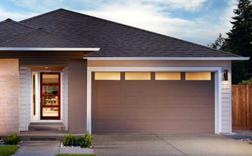 Garage Door Repair Claremont’s technicians have you covered! If your cable has gone bad, give us a call! You’ll be glad you did! 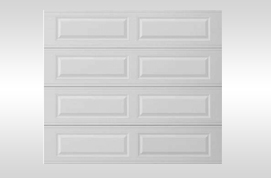 Sometimes your garage doors can be damaged due to abuse, accidents, or inclement weather. It’s important to make sure that you address the garage door panel problems as quickly as possible to make sure that your garage door continues to close properly. We can replace individual panels based on the manufacturer’s stock, but if they can’t be replaced, then you may be looking at a completely new door. Don’t second guess yourself. Call us for an appointment today! 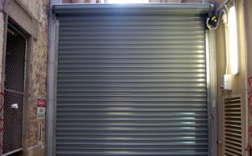 Are your garage door rollers causing you problems? How do you know? 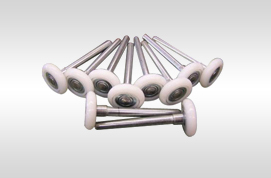 Garage door rollers are made of either nylon or steel and are responsible for the gliding the door up and down the track. When these rollers wear down, your door becomes out of alignment and that’s when bad things can occur. We can be your go-to garage door roller repair gurus! Just call Garage Door Repair Claremont and we’ll be there for you! We also specialize in commercial garage door repair. Your employees and customers need the ability to enter or exit your garage issue free. Your business’s garage door going down is not only disruptive to your business, but it also leaves a lasting impression on your customers that may cause them not to return and do business with you. That’s the very last thing that you want. Regardless of the location of your business, we’re here to help you and we have 24/7 round the clock emergency service. If you’re in the market for a new garage door for your business, we can help you with that, too! Interested in learning more? Call us for a no-obligation appointment!